"We have recently commenced proceedings against parties involved in the production and distribution of a movie entitled Hari Puttar," Warner Bros spokeswoman Deborah Lincoln told The Hollywood Reporter. "Warner Bros values and protects intellectual property rights. "However, it is our policy not to discuss publicly the details of any ongoing litigation." Hari Puttar, made by Mirchi Movies of India, tells the story of a 10-year-old Indian boy, named Hari, who moves to England with his parents and becomes embroiled in a battle over a secret microchip. The boy, left home alone, fights off burglars when his parents go away on vacation - a plot more reminiscent of the popular film Home Alone, starring Macaulay Culkin. In response to the Warner Bros. lawsuit, Munish Purii, chief executive officer of Mumbai-based producer Mirchi Movies, said, "There is absolutely nothing to link Hari Puttar with Harry Potter." Hari is a common name in India and puttar is Punabji for son, he said. What is all the fuss about Hari Puttar? 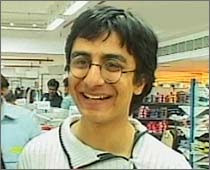 Hari Puttar may or may not be a copy of Harry Potter. However, Bollywood movie makers do routinely lift story lines, complete scenes, word-for-word dialog and music tunes from popular Hollywood hits. On occasion, they even copy titles or pick similar titles. Recent examples of Bollywood plagiarism include "God Tussi Great Ho", a copy of "Bruce Almighty", and "Partner" which is a copy of "Hitch". The fuss is about the threat to Harry Potter, a global brand that is estimated to be worth multiple billions of dollars. Harry Potter has made J.K. Rowling one of most famous authors and put her on the Forbes list of the richest people in the world. It is one of most successful franchises in the history of publishing, entertainment, manufacturing and retail. At least a dozen companies list Harry Potter as a factor that has either boosted or slowed their sales over the years. Time Warner is the biggest beneficiary. Others include Scholastic, Amazon, Barnes and Noble, Borders, Mattel, Electronic Arts, etc. Bollywood seems to have been emboldened by getting away with plagiarism for a long time. But, as the Indian movie industry matures and competes for richer markets, it is bound to be challenged for some of its illegal practices which threaten the profits of others. Bollywood will now have to tread more carefully and be forced to create movies and entertainment with original ideas and distinct story lines, songs and music. I don't mind ppl lifting hollywood plots..if they can do it right or better..like the scrabulous example u mentioned.. But lying shamelessly like "tussi great ho" have nothing to do with bruce almightly is a horrible lie and insult to intelligence of avg movie goer. The worst part is that the movies are terribly made and almost looks like its a parody of the original with ridiculous screenplay(example Killer..rip off of Colateral). The word "inspiration" have been abused and raped by bollywood guys. They even steal plots from Malayalam and hit Tamil movies. Creative bankruptcy and truckload of money is a bad combination for art and Bollywood is a legendary example. This is an old malady afflicting our film industry. Any idea is worth stealing but, times are changing. There will be a premium on originality. this is a rather funny story, but seriously the writers directors and producers need to start producing original material because watching material thats been ripped off from other movies is just boring and an insult to ones intelligence. Is Obama-Biden Ticket Good for Pakistan? Is This the Dawn of Freedom We Yearned For? Is It Time to Invest in South Asia Again? ISI Rogues, Real or Imagined?